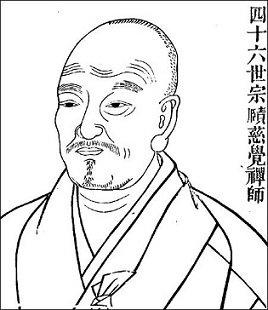 Changlu Zongze. (J. Chōro Sōsaku; K. Changno Chongsaek 長蘆宗賾) (d.u. ; fl. c.
from Carl Bielefeldt. Dōgen's Manuals of Zen Meditation. University of California Press, 1988. The Bodhisattva who studies prajñā should first arouse the thought of great compassion, make the extensive vows, and then carefully cultivate samādhi. Vowing to save sentient beings, he should not seek liberation for himself alone. Then cast aside all involvements and discontinue all affairs. Make body and mind one, with no division between action and rest. Regulate food and drink, so that you take neither too much nor too little; adjust sleep, so that you neither deprive nor indulge yourself. When you sit in meditation, spread a thick mat in a quiet place. Loosen your robe and belt, and assume a proper demeanor. Then sit in the full cross-legged position. First place your right foot on your left thigh; then place your left foot on your right thigh. Or you may sit in the half cross-legged position: simply rest your left foot on your right foot. Next, place your right hand on your left foot, and your left hand on your right palm. Press the tips of your thumbs together. Slowly raise your torso and stretch it forward. Swing to the left and right; then straighten your body and sit erect. Do not lean to the left or right, forward or backward. Keep your hips, back, neck, and head in line, making your posture like a stūpa. But do not strain your body upward too far, lest it make your breathing forced and unsettled. Your ears should be in line with your shoulders, and your nose in line with your navel. Press your tongue against the front of your palate, and close your lips and teeth. The eyes should remain slightly open, in order to prevent drowsiness. If you attain samādhi [with the eyes open], it will be the most powerful. In ancient times, there were monks eminent in the practice of meditation who always sat with their eyes open. More recently, the Ch'an master Fa-yün Yüan-t'ung criticized those who sit in meditation with their eyes closed, likening [their practice] to the ghost cave of the Black Mountain. Surely this has a deep meaning, known to those who have mastered [meditation practice]. Once you have settled your posture and regulated your breathing, you should relax your abdomen. Do not think of any good or evil whatsoever. Whenever a thought occurs, be aware of it; as soon as you aware of it, it will vanish. If you remain for a long period forgetful of objects, you will naturally become unified. This is the essential art of tso-ch'an. Honestly speaking, tso-ch'an is the dharma gate of ease and joy. If there are many people who become ill [from its practice], it is because they do not take proper care. If you grasp the point of this [practice], the four elements [of the body] will become light and at ease, the spirit will be fresh and sharp, thoughts will be correct and clear; the flavor of the dharma will sustain the spirit, and you will be calm, pure, and joyful. One who has already achieved clarification [of the truth] may be likened to the dragon gaining the water or the tiger taking to the mountains. And even one who has not yet achieved it, by letting the wind fan the flame, will not have to make much effort. Just assent to it; you will not be deceived. Nevertheless, as the path gets higher, demons flourish, and agreeable and disagreeable experiences are manifold. Yet if you just keep right thought present, none of them can obstruct you. The Śūraṅgama-sūtra, T'ien-t'ai's Chih-kuan, and Kuei-feng's Hsiu-cheng i give detailed explications of these demonic occurrences, and those who would be prepared in advance for the unforeseen should be familiar with them. When you come out of samādhi, move slowly and arise calmly; do not be hasty or rough. After you have left samādhi, always employ appropriate means to protect and maintain the power of samādhi, as though you were protecting an infant. Then your samādhi power will easily develop. This one teaching of meditation is our most urgent business. If you do not practice meditation and enter dhyāna, then when it comes down to it, you will be completely at a loss. Therefore, to seek the pearl, we should still the waves; if we disturb the water, it will be hard to get. When the water of meditation is clear, the pearl of the mind will appear of itself. Therefore, the Perfect Enlightenment Sūtra says, ”Unimpeded, immaculate wisdom always arises dependent on meditation.” The Lotus Blossom Sūtra says, “In a quiet place, he practices the control of the mind, abiding motionless like Mt. Sumeru.” Thus, transcending the profane and surpassing the holy are always contingent on the condition of dhyāna; shedding [this body] while seated and fleeing [this life] while standing are necessarily dependent on the power of samādhi. Even if one devotes himself to the practice his entire life, he may still not be in time; how then could one who procrastinates possibly overcome karma? Therefore, an ancient has said, ”Without the power of samādhi, you will meekly cower at death's door.” Shutting your eyes, you will end your life in vain; and just as you are, you will drift [in saṃsāra]. Friends in Ch'an, go over this text again and again. Benefiting others as well as ourselves, let us together achieve full enlightenment. 1. Those who aspire to enlightenment and who would learn wisdom should first arouse an attitude of great compassion and make an all-encompassing vow to master concentration, promising to liberate other people, not seeking liberation for your own self alone. 2. Then and only then should you let go of all objects and ought to rest all concerns, so that body and mind are one suchness, and there is no gap between movement and stillness. 3. Moderate your food and drink, taking neither to much nor too little. Regulate your sleep, neither restricting it too much nor indulging in it too much. 4. When you are going to sit in meditation, spread a thick sitting at in a quiet, uncluttered place. Wear your clothing loosely, but maintain uniform order in your posture and carriage. half-lotus posture will also do; just put the left foot on the right leg, that is all. 6. Next, place the right hand on the left ankle, and place the left hand, palm up, on the palm of the right hand. Have the thumbs of both hands brace each other up. upper palate, the lips and teeth are touching. 8. The eyes should be slightly open, to avoid brining on oblivion and drowsiness. If you are going to attain meditation concentration, that power is supreme. In ancient times there were eminent monks specializing in concentration practice who always kept their eyes open when they sat. Chan Master Fayun Yuantong also scolded people for sitting in meditation with their eyes closed, calling it a ghost cave in a mountain of darkness. Evidently there is deep meaning in this, of which adepts are aware. 9. Once the physical posture is settled and the breath is tuned, then relax your lower abdomen. Do not think of anything good or bad. When a thought arises, notice it; when you become aware of it, it disappears. Eventually you forget mental objects and spontaneously become unified. This is the essential art of sitting Zen meditation. 10. In spite of the fact that sitting Zen meditation is a scientific way to peace and bliss, many people do it in a pathological manner that brings on sickness. This is because they do not apply their minds correctly. If you get the true sense, then your body will naturally feel light and easy, while your vital spirit will be clear and keen. True mindfulness is distinctly clear, the savor of truth sustains the spirit, and you experience pure bliss in a state of profound serenity. 11. For those who have already had an awakening, this can be said to be like a dragon finding water, like a tier in the mountains. For those who have not yet had an awakening, it is still using the wind to blow on the fire, the effort required is not much. Just make the mind receptive and you will not be cheated. 12. Nevertheless, when the Way is lofty, demons abound, all sorts of things offend and please. As long as you keep true mindfulness present, however, none of this can hold you back. 13. The Shurangama-sutra , the Tiantai manuals of "stopping and seeing," and Guifengs Guidelines for Cultivation and Realization fully explains bedevilments. Those whose preparation is insufficient should not fail to know these. 14. When you want to come out of concentration, slowly rock the body and rise calmly and carefully avoiding haste. 15. After coming out of concentration, at all times use whatever means expedient to preserve the power of concentration, as if you were taking care of a baby. Then the power of concentration will be easy to perfect. 16. Meditation concentration is a most urgent task. If you do not meditate calmly and reflect quietly, you will be utterly at loss in this domain. So if you are going to look for a pearl, it is best to still the waves; it will be hard to find if you stir the water. When the water of concentration is still clear, the pearl of mind reveals itself. must make use of quiet meditation; to die sitting or pass away standing, one must depend on the power of concentration. 18. Even if you work on it all your life, you still may not succeed; how much more so if you waste time! What will you use to counteract karma? This is why the ancients said that if one lacks the power of concentration one willingly submits to death, living out one's life in vain, unseeing, like a wandering vagrant. 19. I hope that companions in meditation will read this tract over and over, to help themselves and help others alike to attain true awakening. by master Cijiao (Compassionate Awakening) from Chang-lu (written 1103). Date of birth is not known, he was ordained in 1089. Zenmaster Dogen used parts of Cijao's Rules for meditation for his Zazen for anyone anywhere (Fukanzazengi). If you wish to train for the wisdom of enlightened being, you must first arouse the heart of great compassion and take the all-embracing (bodhisattva)-vow: to become versed in the practice of samadhi and liberate all beings, so you do not solely seek freedom for yourself. Only then must you let go of all appearances, let all phenomena rest, so that your body and mind can be one ‘just as it is-ness' and no gap exists between activity and stillness. Take food and drink in moderation, neither too much nor too little. Regulate your sleep, neither too long nor too short. When you are going to meditate, choose a quiet restful spot and put a thick cushion down. Loosen up your belt and clothing, and assume the proper posture and composure. Then fold your legs together crossed into a knot (the Lotus-position). First let the right foot rest on top of the left thigh and the left foot on the right thigh. To cross just the one leg is also all right, then only put the left foot on top of the right thigh. Next, rest the right hand on the left foot and the left hand in the palm of the right one, with the thumbs touching and propping each other up. Slowly rock back and forth, left and right. Then sit steadily up straight, without leaning to left or right, backward or forward. The vertebrae of the lower back, spine and neck should be aligned with the top of the head and hold each other up, your shape like a stupa. But you must not rise up your body too much so your energy gets excited. Keep your ears in line with the shoulders and your nose in line with your navel. Hold your tongue pressed against your top teeth, with your lips and teeth together. Your eyes must be slightly open, to avoid dozing or falling asleep. For finding meditative stability (ch'an ting), this is the most powerful. In the past, eminent monks who practiced sitting in meditation, always have been sitting with open eyes. Master Fa-yun Yuan-tong reprimanded those meditating with their eyes closed; he called it “(sitting in) a dark mountain-ghost cave”. This has deep meaning, as experienced meditators know. After your posture is settled and your breath regulated, you let your lower abdomen extend in a relaxed way. Do not get involved in thoughts about good or bad. When a thought arises, be aware of it; in awareness it is let go off. When you forget all reasoning for a long time, you naturally become one. This is the art of meditation. I venture to say that this sitting in meditation is the Dharma-gate to peace and joy. That many people become ill, is because they do not use their mind with careful attention. When you do sit with the right mind, the four elements naturally come to peace, your spirits become alive and bright, right thought clearly stands out. Then the flavour of the Dharma safeguards your spirit, which will be serene, lucid and joyful. Someone who has clarified existence (i.e. : what we are), can be called a dragon that has found water, or a tiger that reached the (free) mountains. Those who still have to do so – keep letting the wind blow on the fire. Much effort is not needed. Merely see and follow the true heart and you surely will not be deceived. But when the Way is lofty, there are plenty of pitfalls (lit: demons); all manner of things attract and offend. But when we keep right mindfulness present, this all cannot hold us back. As the Shurangama-Sutra , the Tiantai writings about “stopping and looking”, and Master Gui Feng's How to Practice Realisation, are all concerned with exposing hindrances, they are a ‘must know' for those who are not well prepared. When you wish to arise from meditation, slowly move the body and carefully get up, not abruptly. After coming out of meditation and getting up, do at all times what is beneficial; protect and maintain the power of stillness as if you protect your baby child. This way you can perfect the power of meditative stability. The grounded stillness of meditation is a most urgent matter. If you do not practice this quiet sitting, anxiety enters the serenity and you will end up in a daze. So, who searches the jewel must still the waves; in restless waters it is hard to find. Quiet stability settles and clarifies the water so that the jewel of the heart-mind will naturally show itself. For this knowledge of transcending the ordinary as well as the sacred, you must put to rest cause and effect; to die sitting or standing, you must rely on the power of the unshakable still mind. Even if you give your whole life to it, you may still not be successful, let alone if you waste your time! How will you deal with karma? Therefore the ancients said: If you do not cherish the power of grounded stillness, you willingly yield to death, living uselessly with your eyes closed, drifting along. I hope that all you friends on the path of Zen, will read this over and again, so that you and others may realize true awakening.